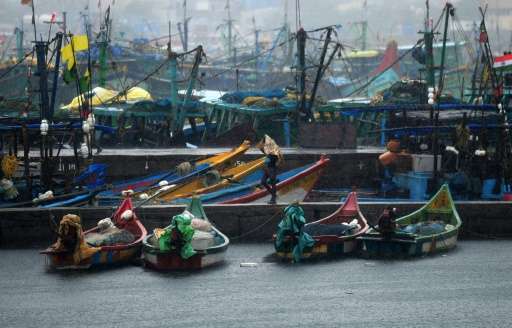 Scientists from Britain and India will release underwater robots into the Bay of Bengal in a bid to more accurately predict the Indian monsoon critical to millions of farmers, they said on Tuesday. Researchers will also fly a plane packed with scientific equipment over the bay to measure the atmosphere as part of the multi-million pound study of the monsoon which hit southern India last week. Better forecasting would improve the livelihoods of India's more than 200 million farmers and agricultural labourers, who are reeling from devastating drought. Scientists from the University of East Anglia (UEA) will release seven underwater robots from an Indian ship next week to study how ocean processes influence monsoon rainfall. At the same time, colleagues from the University of Reading and climate experts in India will use instruments on board the plane flying from the southern city of Bangalore to measure heat and moisture in the air. The robots, which have computers onboard and look like miniature yellow submarines, will spend a month moving through a southern section of the bay, to measure temperature, salinity and currents. "The Indian monsoon is notoriously hard to predict. It is a very complicated weather system and the processes are not understood or recorded in science," lead researcher Adrian Matthews said. "Nobody has ever made observations on this scale during the monsoon season itself so this is a truly groundbreaking project," he said. More than half of India's farms lack irrigation for their crops, meaning they depend almost entirely on the annual rains that fall in intense bursts from June until September. More precise predictions of the monsoon, that sweeps up from the Indian Ocean which extends into the bay, can also help hundreds of millions better prepare for droughts and floods. Beamed backed to scientists via satellite signals, the information will be used to create computer models of the ocean to determine how it affects weather and rainfall over India. "We should be able to collect an amazing amount of information about how this weather system develops," researcher Ben Webber told AFP. The eight million-pound collaboration is the latest effort to understand the monsoon in India where weather scientists have a patchy record of predicting its start time and intensity. 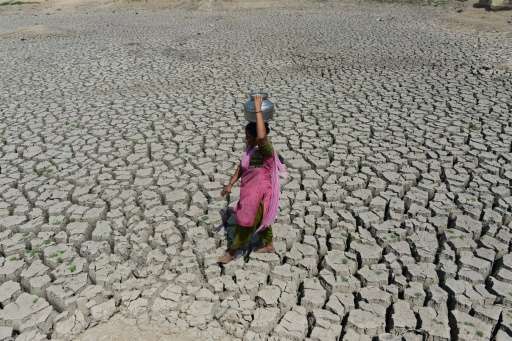 India suffered its worst drought in decades in 2009 despite the meteorological department's predictions of a normal monsoon. In April, researchers in Germany said they had found a way to more accurately predict the start of the monsoon based on an analysis of regional weather data. India's meteorology office is also reportedly spending millions of dollars on a new super computer to predict how the monsoon is likely to develop each year.